If you need a custom shirt order filled, but aren’t sure what direction to take, silk screen printing provides the ideal solution. This process is the superior choice for a number of reasons. When tee shirt printing is handled through silk screening, you can be certain that the quality you demand will be there along with durability and boldness of colors. 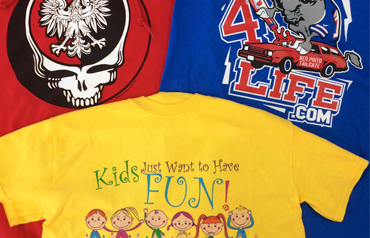 At Park Avenue Imprints, we specialize in t shirt printing using screen printing techniques for good reasons. If you’re new to ordering custom t shirts, however, chances are you might not be familiar with the process. When you understand how silk screened t shirt printing is handled, you’ll see why this is the best choice for your money.